My kids love to help decorate the house for every holiday. I see picture perfect homes in all their beautiful holiday splendor and I think how wonderful it would be if my house looked like any one of the thousands of pictures I come across. But that would mean taking the decorating out of the hands of my kids and they would be devastated. They want to be a part of the fun. Let’s be honest: They get far more joy out of decorating than I do! Which is why I’m always looking for ways to make them a part of the fun. Here’s a free printable Valentine banner your kids can color and hang. Let your kids color and decorate however they please; crayons, paint, markers and embellishments. Hang the banner using baker’s twine and washi tape. Depending on the strength of your tape (I know they vary greatly) you might want to string the banner on the twine alone and just add tape as an embellishment. Make one for the kitchen, for their bedroom or one for the neighbor’s door with a plate of cookies. Spread the love! 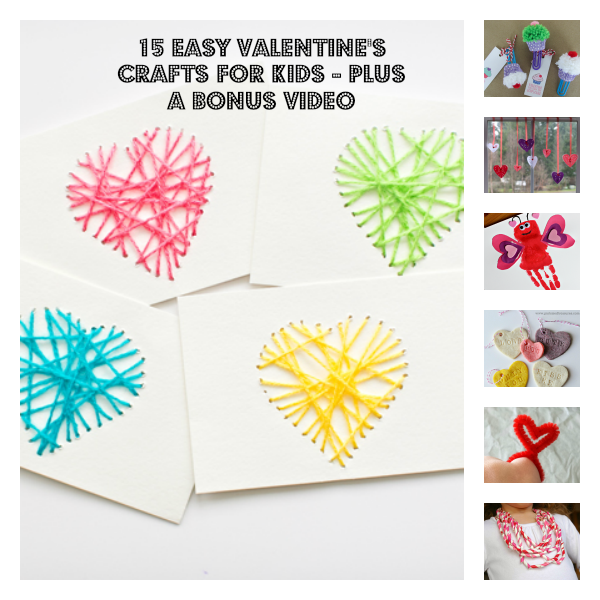 21 Creative Valentine’s For Classrooms, Friends, and Family! « My State is Cooler Than Your State! Ways To Show Your State Pride! I was able to get you more details sent to your email. Thanks! That’s the same thing for me! Only the half of a heart is printing. Thank you! When you click on the hearts does it take you to a page where you can print it? If not let me know and I’ll try to send it to you. Thanks!